Quaid e Azam University Islamabad Admission 2019 are now open for all the undergraduate & post graduate programs. QAU Admission 2019 Last Date, Eligibility criteria, merit list & other details can be obtained from here at webstudy.pk. QAU is one of the best educational environment provider in pakistan that provide quality education to the students with comfortable environment. Quaid-e-Azam University Islamabad 2019 Admission Last date was 11th january 2019. QAU provide all the basic facilities to the students so that they can study in very comfortable environment. QAU was established in 1967 and it was started for only doctorate and postgraduate classes but later on it started Masters Degree levels. Quaid e Azam University Isb Admission 2019 Eligibility criteria is also mentioned here as you can read it below and after reading that you supposed that you are eligible to submit application form then you have to walk through the university admission office and get your prospectus that contains application form and all the other details about university rules & regulations. Fill that form with great care because wrong information providing may lead to the cancel the admission at any stage. QAU is one of the best public research institute in pakistan that have a proper admission channel through which every student have to pass. 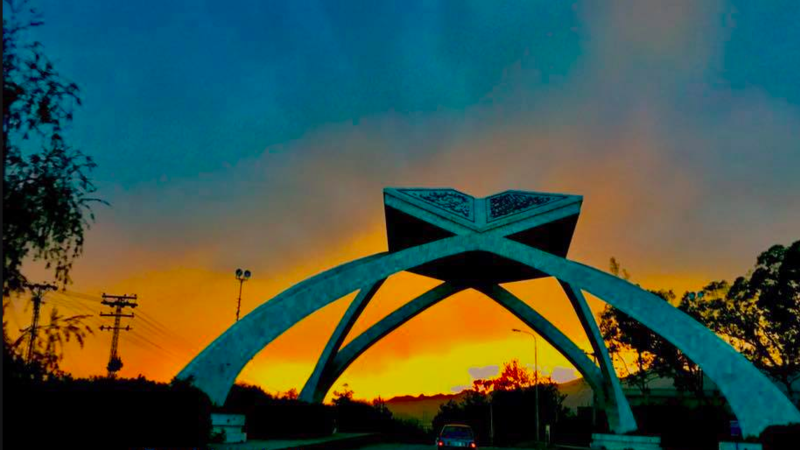 Quaid i azam University islamabad has four faculties and 38 departments. QAU is affiliated with Higher Education Commission HEC & Pakistan Engineering Council PEC. Candidate who are willing to apply for biological sciences undergraduate programs are required FSc (Pre Engineering/Medical) or equivalent with at least 50% marks from any recognized college/institute. Candidates having FSc (Pre-Medical) or equivalent education with at least 60% marks are eligible to apply for Pharm D program. Students required FSc (Pre-Engineering) or equivalent with Mathematics/Physics as a subject with minimum 50% marks to obtain admission in Natural Science Undergraduate Programs. candidates are required FA/FSc or equivalent with at least 50% marks for Faculty Of Social Sciences Undergraduate Programs admission. holding a Bachelor or equivalent in the relevant field at least in second division/45% marks from a HEC recognized University or Instituite. Required MSc/MA/MS/BS Hons (4-years) in relievant subjects or its equivalent degree from HEC recognized university. Required M.Phil/ MS or equivalent qualification in the relevant fields with minimum CGPA 3.0 or First Division from HEC recognized university. Candidates who thinks that they are eligible to get admission in qau can apply for admission by following simple steps. They have to go to the admission office to get the application form by paying charges of the prospectus or they can download admission form online from the official website but they have to submit the admission fee of Rs 2500 in favor of QAU. After filling the admission form submit the form to the admission office.